Clothes are always fun projects to sew. You can make a skirt or scarf for a fraction of what store-bought clothes cost. There are clothing patterns for both children and adults listed. Make a darling dress for your daughter or granddaughter that can be passed down. Or thrill your son by making him a jester's hat. A christening dress is always a welcome gift. Create a lovely sleeveless top that is very easy to make. 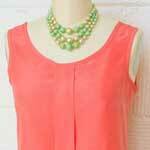 This top goes well with pants, capris or a skirt. This clothing pattern is for a simple, yet elegant skirt with a scalloped waist line. 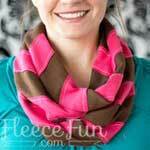 Stay warm this winter by making this attractive fleece scarf using this easy to follow scarf project. 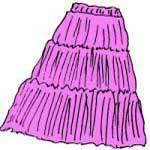 Sew a lovely lace skirt just by following this detailed pattern with illustrative photos. 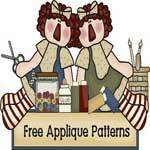 Applique patterns to transform a vest or shirt in many shapes - birdhouses, sunflowers, angels and more. 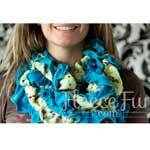 Make a beautiful scarf out of jersey fabric. 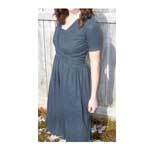 This knit dress pattern is for a dress with a criss cross top that helps make nursing baby easy. 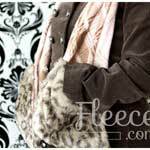 Create a scarf that will keep your neck and your hands warm using this scarf pattern. This long drawstring skirt has somewhat of a bohemian look. 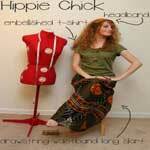 The skirt is designed to be worn at home or when going out and about. Here are many different patterns for clothes for women, men and children. Jackets, shirts, vests, pants, shorts, raincoats and lots more. The shift dress is a sleeveless dress with a square neck and has the appeal of the fabulous 60’s era. 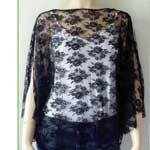 Make this lovely black lace blouse that looks great with a camisole underneath. Beautiful tea length dress with cowl neck made out of jersey fabric for a flowing dress that gracefully drapes the body's shape. 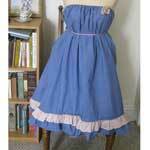 Here is a step by step pattern for a ruffled skirt that has a feminine and romantic look and feel. This skirt is designed with two pleats in the front that are faced with a different color than the rest of the skirt. Sew this comfy kimono robe for yourself or to give as a unique and thoughtful gift to someone special. 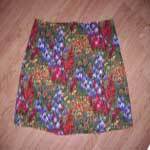 This is an easy to sew skirt that can be dressed up or down. Just follow this step by step pattern with helpful pictures. This long wrinkled broomstick skirt is as fun to make as it is to wear. 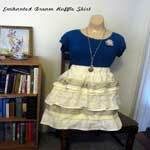 Here is a clothing pattern for a sweet sundress that is made using a sheet. This is such an easy project that you may want to make more than one. 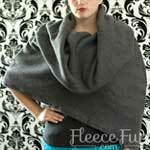 Stay warm in style by making this good looking caplet that has a large cowl neck. This skirt pattern is for a 1950’s pencil skirt. Using these detailed instructions along with illustrative pictures you can sew this body hugging skirt. Make a large bow that fits around the chest, shoulders and upper back for a very attractive wrap that adds to most any outfit. Various clothing projects including a shawl, a shrug, swimsuit cover-up, slippers and skirts. Here's many different sewing patterns for babies and children, including children's pajamas, birthday hats and even a back seat car organizer. 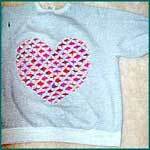 Use a purchased sweatshirt and cut-away a heart that shows fabric through the heart. Directions on how to quickly sew your own poncho. 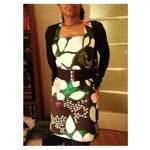 Choose from lots of different patterns from vest, dresses, jackets & more. 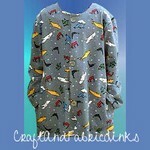 This sewing project starts with a pre-washed sweat shirt. So easy. This terry-cloth body wrap is so easy to make a great for the bath or beach. 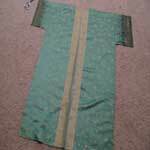 You can make a button-up robe with side pockets using a tee-shirt pattern. You can make an attractive jean skirt using an old pair of jeans. 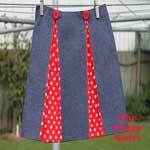 This is a very simple project for a jean skirt, short or long.